Nepalese Prime Minister Sher Bahadur Deuba's four-day visit to India commencing August 23 was his first foreign visit since assuming office in June 2017. His visit came at a time when the standoff between India and China at Doklam was still continuing following deliberate intrusion by the PLA into Bhutan from COT (China Occupied Tibet). Nepal has been facing political turmoil since adoption of a new Constitution in September 2015. Madhesi protests (October 2015 to February 2016) resulted in the closure of key trading points with India, triggering shortage of essential supplies in Nepal; blockade ending after more than 50 people were killed in clashes with the police. The fact that PM Narendra Modi was hosting the third Nepalese PM in Deuba within a year and a half (after KP Oli and Pushpa Kamal Dahal 'Prachanda') indicates that the crisis because of Nepal's new constitution persists. 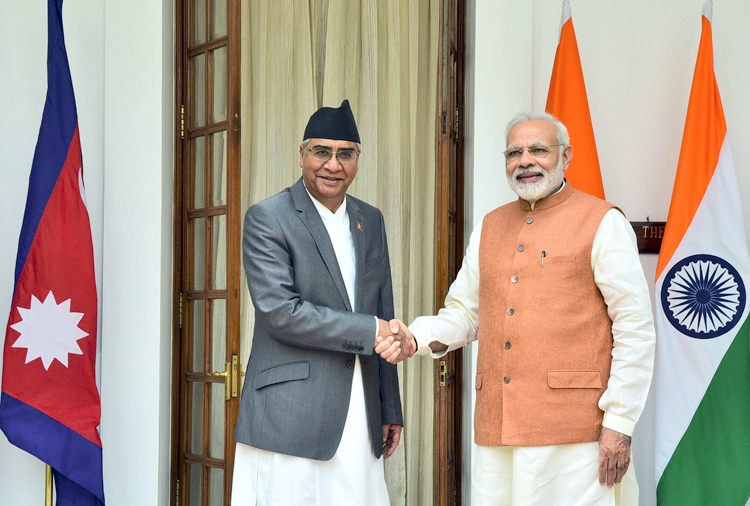 PM Modi extended an unscheduled 'warm up' meeting with Deuba as latter's visit began, and India extended full state honours to the visiting dignitary. General and provincial elections in Nepal are due this November and a broader alliance of democratic forces would be good for Indo-Nepalese relations, compared to China promoting selective political favourite to dominate Nepal politically. PM Deuba held wide ranging discussions with Prime Minister Narendra Modi on issues of mutual interest, in addition to delegation level talks from both sides. PM Deuba called on the President and the Vice President and also travelled to Hyderabad and Bodh Gaya. He also held talks with EAM, HM, FM besides interacting with the India Foundation. The Doklam standoff was not discussed, even as China tried to rake up Kalapani which is actually an issue between India and Nepal.The two PMs jointly inaugurated the Katiya-Kushaha and Raxaul-Parwanipur Cross-border transmission line for supply of 50 MW each through remote operation from Hyderabad House. Addressing a joint press conference after exchanging eight MoUs, PM Modi focused on: mutual commitment for completing all hydropower projects in Nepal on time; expediting detailed project report of the Pancheshwar multi-purpose project; expressed happiness over Nepal's success in settling disputes locally; proposed developing Buddha and Ramayan tourism circuits to enhance skills, capacity building and people-to-people contacts; in-principle agreement to build Dhangadi Technical Institute and GP Koirala National Institute of Respiratory Diseases with India's grant assistance; need to enhance cooperation in defence and security sector to check cross-border crime along the Indo-Nepal border; activating joint mechanism to resolve problems of flooding in border areas; hoped Nepal can implement the constitution by accommodating aspirations of all sections of its diverse society. India-funded projects, such as postal roads, trans-border power transmission lines and integrated check-posts are already under construction in Nepal. PM Deuba hoped detailed project report of the Pancheshwar project would be completed by this year end. He focused on: Nepal being not only a neighbour but also a friend of India that would never allow anti-India activities along its border areas; mutual agreement for enhancing mutual cooperation in water resources, trade and investment; age-old bilateral cooperation between the two countries. Between Institute of Chartered Accountants of India and Institute of Chartered Accountants of Nepal. 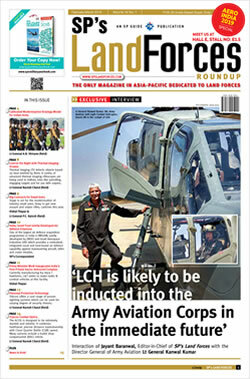 PM Deuba's visit has certainly enhanced Indo-Nepalese relations with the focus on strengthening defence and security cooperation, partnership for sustainable development, enhancing cross-border connectivity through infrastructure development, cooperation in projects of national priority for Nepal, harnessing water resources and expanding energy cooperation, scaling up trade and investment links, plus consolidating cultural links and promoting people to people ties. At the same time, India should not forget that when Mao Zhedong talked of Tibet being the palm of China, he also described Nepal as one of the fingers. This was reiterated by Deng Xioping and is followed by his disciple Xi Jinping. China may not have invaded Nepal conventionally, but will consistently endevour to swallow Nepal like a python, the way it is swallowing Pakistan. With China adept in irregular warfare and openly exhibiting intent to limit India's strategic space, Chinese activities in Nepal's Terai region assume significance. On August 15, simultaneous to Chinese troops stone-pelting Indian soldiers in Pangong Tso area, China signed three pacts with Nepal for boosting ties in power and energy sectors and undertake feasibility study to excavate natural gas and petroleum in Nepal, including in the Terai plains. One wonders if India and the ONGC took any initiative with Nepal on the issue or are we limited to cooperation on projects mentioned above, some having been initiated by the previous government with perhaps lesser focus on immediate neighbours. Similarly, a Nepalese delegation comprising mostly military veterans had visited India during the UPA II regime seeking assistance in setting up a Think Tank in Kathmandu but were turned away promising merely 'advice' on how to set it up – the stupidity of which requires no elaboration. The Modi government could look into such issues.